Key performance indicators (KPIs) are used by most businesses to quickly capture the state of operational activities. Even a medium size business might have hundreds of KPIs representing detailed aspects of operations in various business departments. Understanding what the KPIs mean as a whole is usually beyond a single person’s understanding. 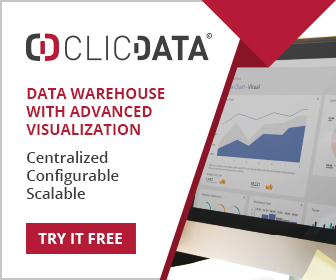 Many modern BI dashboards are quite adept at displaying KPIs in a graphical manner that aids understanding, but even here it is almost impossible to see the dependencies between KPIs and gain an overall picture. Bilbeo is a web based (an on-site option is available) service that is specifically a KPI dashboard platform that performs two important functions. 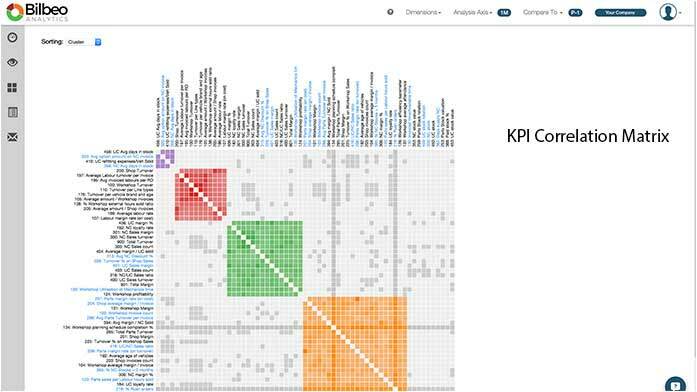 It contains algorithms which predict how a KPI might evolve over the immediate future, and it correlates KPIs and displays a correlation matrix so business managers can see dependencies. Information of this type will be completely new to many users, and once they have it, they will not want to let go. The process starts by accessing data from relevant sources. This does require some support from developers, using an API that is part of Bilbeo. Business managers can then start to specify KPIs and in the process define upper and lower limits on each. Bilbeo uses this information to automatically categorise performance in a range from ‘very bad’ to ‘excellent’. Obviously this categorisation only happens once the KPIs have some history. 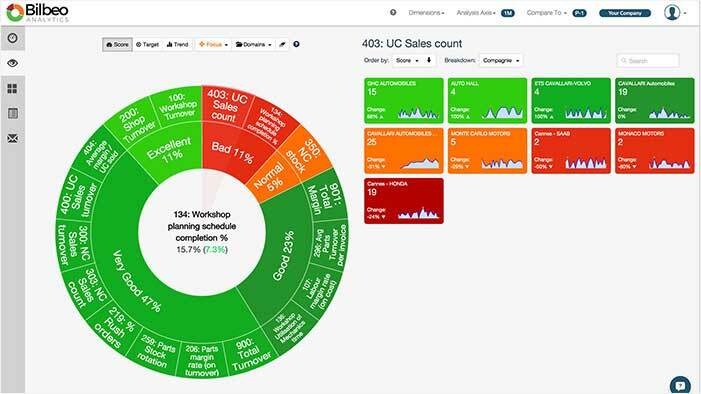 Individual KPIs are displayed using a doughnut chart, and users can drill down into the relevant information that makes up the KPI – as deep as they wish. Alerts can be generated when a KPI moves outside acceptable limits, and reports scheduled as needed. Bilbeo can be ‘white labelled’ so that KPIs can be embedded into other systems – CRM for example. The origins of Bilbeo are interesting, and derive from a statistician who found the same problems relating to KPIs in many organisations. As a result he created Bilbeo to provide a general solution. Pricing is based on the size of data.